Masters of stealth, and masters of darkness and poison. These silent killers are contracted by those wishing to "remove" a problem. They are lethal, fast, and efficient. 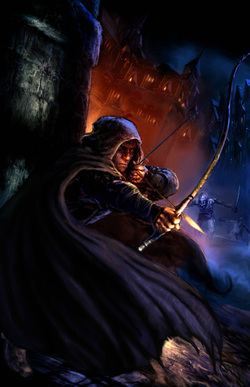 Assassins often choose to live secluded lives when not fulfilling a contract, having homes and families like any normal person. However, when the Guild needs them, they are back into the darkness once again.